He may be silent, but his eyes speak volum es. He is my muse. A gentle, guiding spirit who curls up beside me whilst I write for hours on end. 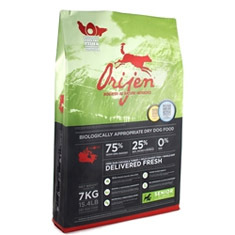 We feed him natural, preservative-free food — a combination of home-cooked and Orijen (a wonderful brand – made in Canada, of course!) , which makes his coat shiny and soft. Bacchus came into our lives when he was an 8-week old puppy. He has been a source of joy from the first day I held him in my arms. He has taught us a lot about loyalty, love, patience, and trust. Most importantly, he helps us to understand — truly — that life doesn’t need to be as complex as we humans make it out to be. There is serenity in simplicity. Bacchus continues to help us keep things in perspective. Right now, I feel his breath on my feet. He is content, eyes half-closed and probably thinking that I spend way too much time on the computer. He’d be right about that. Come to think of it, maybe I should take a break and take him outside to the garden for a bit. It’ll do him good. And me, as well. Signing off for now …. h.f.t.g. This entry was posted in inspiration, lessons learned, other musings, writer psychology and tagged Bacchus, black labrador retrievers, dogs, Heather Marinos, heatherfromthegrove, Orijen, Red Radio Flyer Wagon, serenity, Simplicity, writer's muse. Bookmark the permalink. Can’t believe you’ve had him 11 years. I remember when you brought him home. What a lucky day for everyone. Time flies! I pray that he has many more years left.